Combine Apollinaire with Pam Grier and you might come close to Montana Ray’s ferocious debut, (guns & butter). Each concrete poem is shaped like a gun and its poetic interiors are bracingly brutal and gorgeous. Capsuled in parentheticals, each magnetic phrase is locked and loaded as Ray burns holes into subjects ranging from interracial love, single motherhood, to America’s unrelenting addiction to gun violence. Her voice is mesmerizing, tender, vicious, chimeric, as she veers between role-playing a warrior glock-wielding Annie Oakley to “warm, new mother.” I love (guns & butter) and cannot sing it enough praises. It’s the kind of rare first collection that is startling, necessary, and is truly like no other book. 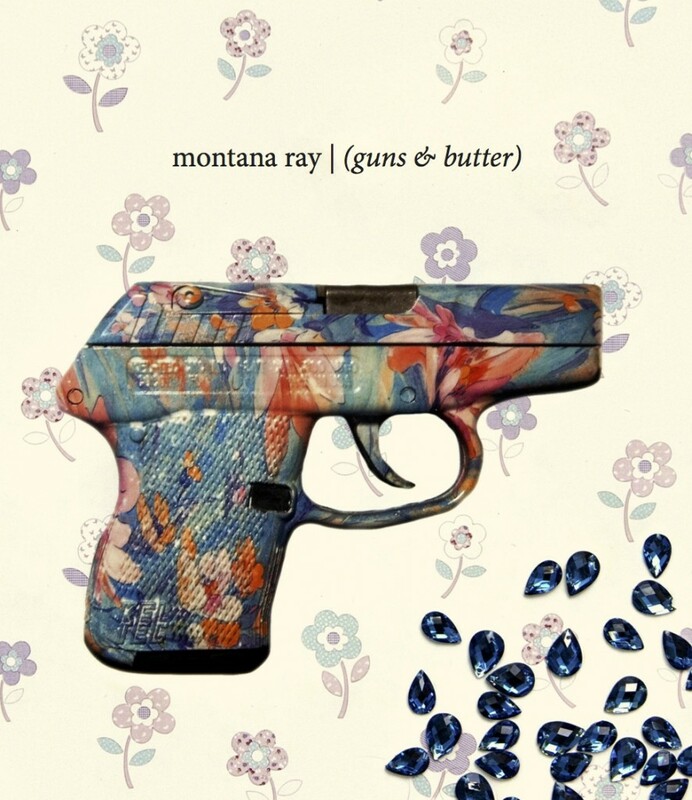 Montana Ray’s (guns & butter) thrills me to death. It is not only an audacious first collection, it is the sign of things to come. The shapes these poems take, the authenticity of their subject matter, as well as the intimacy they grant us, make this collection worth rereading time and again. With its cohesive intelligence, not to mention its pained hilarity, Ray recasts what is not only possible but endlessly delightful in Poetry. From the most unsubtle of instrumental objects (gun, stick-o-butter), Montana Ray crafts this group of sensitive and tender poems. This work reminds me that it’s point of view that gives motherhood, violence, race, desire meaning beyond language. Nothing in things, except how held, by whom. Are you looking down the barrel? Are you the engineer? (Ah, Enzo the Baker, we feed desire and we suffer it.) I guess, I know, there is stuff beyond poetry that makes poetry possible and that is where Montana Ray is coming from. Montana Ray is a feminist poet, translator, and scholar. 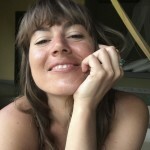 She is the author of five chapbooks and artist books. (guns & butter) is her first full-length collection. She’s a PhD student in comparative literature at Columbia University and the mom of budding zoologist, Amadeus. Posted by Elizabeth Clark Wessel, January 15th, 2015.